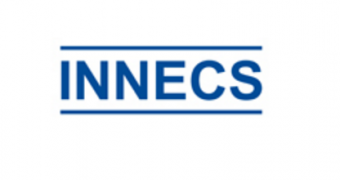 Innecs was founded in 2004. The occasion for this was to facilitate customers who fall between two stools; either too little energy consumption for a big system or too much energy consumption for a small system. It all began with research concerning the technical and commercial feasibility of a high efficiency gas turbine, which produces electrical power in the market segment below 2 MWe. Currently, the development of a 250 kWe gas turbine has been determined feasible. Reductions of NOx emissions is one of the most important qualities of our gas turbine. Therefore, in 2007 a cooperation was started with, amongst others, Gasunie (from the Netherlands) to test a low-Nox burner in a recuperated gas turbine with high combustion air temperatures. The reduction of NOx stayed on their horizon. In 2011, their goals continued in cooperation with the University of Twente when they created an highly flexible combustion chamber which allows to reach low NOx-emissions with multiple fuels. One burner, which can burn natural gas, bio-gas and syngas. Because maintenance and efficiency (and the associated costs) are important for when investing in new technology, they have been looking for a solution which is compact, efficient and almost maintenance free. In 2009, this has resulted in a design for a generator which uses Permanent Magnet Technology. This high speed generator, is used as the heart of energy systems. Depending on the application, it is powered by a gas turbine or a steam turbine. The generator is an efficient and flexible part of power generating systems. In the last few years Innecs have been working to optimize turbines to work in an industrial environment. This has resulted in high quality products that combine efficient energy use, and environmental awareness.